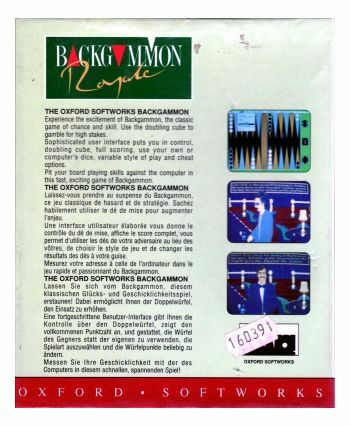 Experience the excitement of Backgammon the classic game of chance and skill. 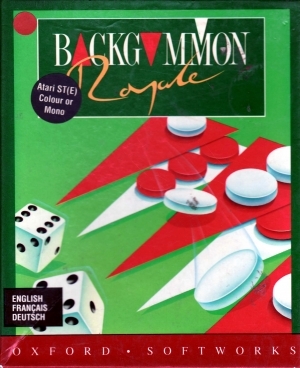 Use the doubling cube to gamble for high stakes. 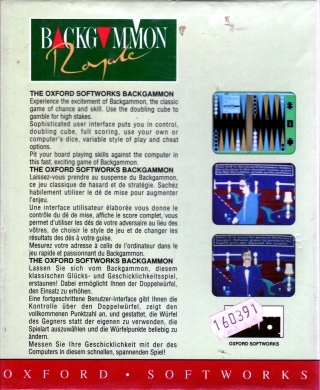 Sophisticated user interface puts you in control, doubling cube, full scoring, use your own or computer's dice , variable style of play and cheat options. 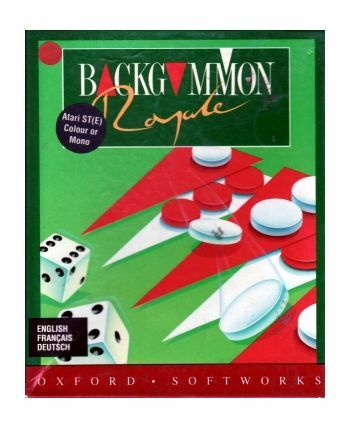 Pit your board playing skills against the computer in this fast, exciting game of Backgammon.